Our Selector Range of Acrylic Bathroom, Shower & Feature Wall Panels in any colour or print will enrich any space promoting a healthy mould & bacteria free environment. With the choice of choosing luxury combination colours that are client focussed, ISPS work with you to achieve the ultimate colour indulgence. 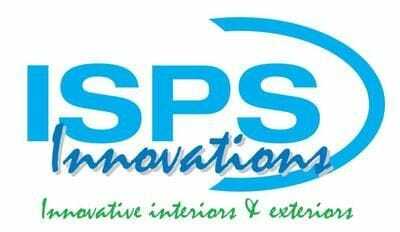 ISPS Innovations are Australian Made & create a range of innovative custom interiors using cutting edge colour technology that requires a skill base from years of experience. Don't be fooled by quick spray painting remedies by fly by companies that piggy back off the history of leading brand clear acrylics. These coating applications fail short term as the coating will not conform with the substrate due to weathering. Anyone can buy clear Plexiglas sheeting & spray it or employ a printer to print on them. Unfortunately you get what you pay for. Due to conditions experienced in bathroom & kitchen environments, it pays to investigate the products you choose to purchase and how long they will last. ISPS IPA Acrylic sheeting is robust in performance and the preferred choice for hospitals, dental, cafes, schools used for domestic and commercial application. You may ask why.... Please keep reading. These days people that are recovering in hospitals, or working in a commercial work space want to feel more at home, it serves a better recovery time and makes the work place more inviting, IPA Acrylic is available in any colour or print is robust in performance & a healthy alternative to textured finishes available in a domestic or clincal bathroom environment. Before selecting your polymer sheeting choose a panel that can deal with elements of heat expansion and contraction factors. Choose a product where you know the coating system will conform with the substrate it is applied to and work as one. That the surface of the substrate you choose is easy to clean will remain true to form in either high gloss or satin finish for the long haul. That the product will not fade, buckle, yellow or delaminate. ISPS Innovations have supplied Bunnings, Mitre 10 & a history of leading Designers, Architects and DIY Devotees with our total range of custom Acryllic Polymer Splashbacks, High Heat Bonethane Polymer Splashbacks, Benchtops and Kitchens. ISPS qulaity test and colour applicate our total range of building substrates. We do not rely on third party processes & stand by our Australian Made Buiding substrates. prevents residue from being retained on our smooth high gloss surfaces VS a textured polymer or tile (grout) textured surface in Bathrooms either commercial or domestic. Once residue is washed, rinsed, & wiped with a clean damp hot cloth, IPA Acrylic & Bonethane will air dry and shine, high-lighting the invitation for bacteria, grime and mould build up as non existent on our polymer range. It is more evident with time that satin textured finishes hide the on going effects that promote havens for bacteria, mould & oily build up creating a white film in domestic and commercial bathrooms. are subject to retaining bacteria & later staining because of oily build up on unclean surfaces in hard to reach places that repeatedly sit dormant as an accumulation of uncompleted cleaning methods, missed by human error. Heat rises and so does oily build up. It will appear clean due to satin textured finish but eventually build up, this is due to hot and cold weathering, oil and moisture properties from everyday use, much like painted walls in a standard bathroom, developing grime and mould almost what appears over night. . So in an unsuspecting bathroom at first sight the grime and mould can not be seen, and slowly mould and grime develops a build up, causing health issues....., and in a hospital, clincal or home environment this is dangerous. Our IPA Acrylic luxury panels are quality tested & come with GRIPTEK barrier backing, eliminating the use of double sided tapes, coating wall a neutral colour, colour fading of the sheet, colour delamination, silicone bleeding and allowing sheets to safely be removed off the wall without damaging the integrity of the sheet. GripTEK also creates additional adhesion when silicone is applied in grid format. Our 6mm IPA Acrylic sheeting can be safley removed from the wall it is fixed to without damaging the integrity of the sheet, this would come in handy if you sprung water damage behind your wall. GRIPTEK can be applied to printed splashbacks and wall panels on request. Can IPA Acrylic be placed over tiles? The answer is yes, simply silicone over existing walls, tiles, gyprock, plaster. Always ensure that water proofing is up to date. It is important that your wet area panelling offers a multipurpose function to that of the conservative tiles or glass. With the added indulgence of having no grout or mould lines and smooth high gloss or satin finish. ISPS Innovations create a custom innovative, alternative splashback and wall panel that are affordable, functional allowing you to be the selector of your colour, print or custom sizing. Did you know ISPS Innovations supply toughend and etched glass? ISPS have pioneered & combined creative colour combinations and fashion the most ground-breaking visual colour EFX. Simple cleaning methods: Wash IPA Acrylic Bathroom Shower Wall Panels with warm soapy water, rinse residue and wipe with a clean damp towelling cloth. NO DRY POLISHING. IPA Acrylic sheets air dry and shine. Rid your self of moldy tile grout. ISPS Innovations supply our Selector Range of Acrylic Splashbacks coloured, printed, ISPS EFX Kitchen Splashbacks & Bathroom Wall Panels nationally to Sydney, Melbourne, Geelong, Brisbane, Perth, NorthernTerritory, Tasmania, Adelaide, North Sydney, Mosman, Cairns, Parramatta, Kogarah, Brighton, Cannon Hill, Ashfield, Auburn, Croydon Park, Putney, Dandenong, Narre Warren, Ballarat, Werribee, Brisbane, Gold Coast, Rock Hampton ALL OVER AUSTRALIA! Australian Made Printed & Coloured Acrylic Splashbacks & Bonethane High Heat Polymer Wall Panels by ISPS Innovations.